Well today finally the official word came out VMware acquires Immidio to extend the End User Management capabilities. VMware surely is on a roll last year acquiring several products, many might think that they don’t have a vision and just grap what’s easy to get, picking and dropping at will. I’ve seen the twitter discussions go on today with concerns about integration and a vision. I have an idea about their path that I want to share…. I don’t have insight knowledge but having listened well at VMworld I think I see a path, a vision if you will. Let me share my thoughts with you. 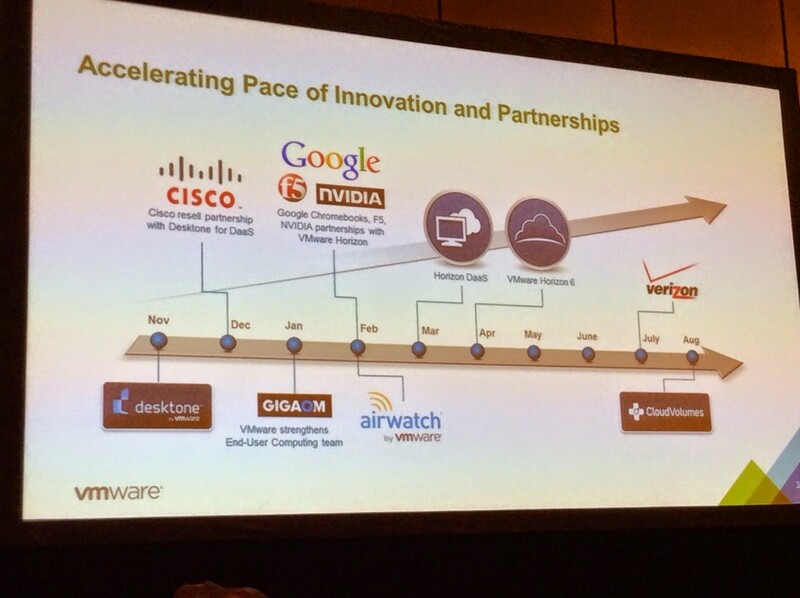 Last year was like VMware was at war, if you look at what they acquired last year you’ll be amazed. Still even though I know what they did every time I look at the picture it looks like a lot. So the last addition is Immidio an End User Management solution for the Netherlands. Question is what are they planning on doing with it. If you think back about a blog I wrote and VMworld 2014 you might remember one picture they showed their. It was a picture with Airwatch as the big umbrella covering the whole EUC suite. So when we think about this for a moment, you might see the vision of VMware. 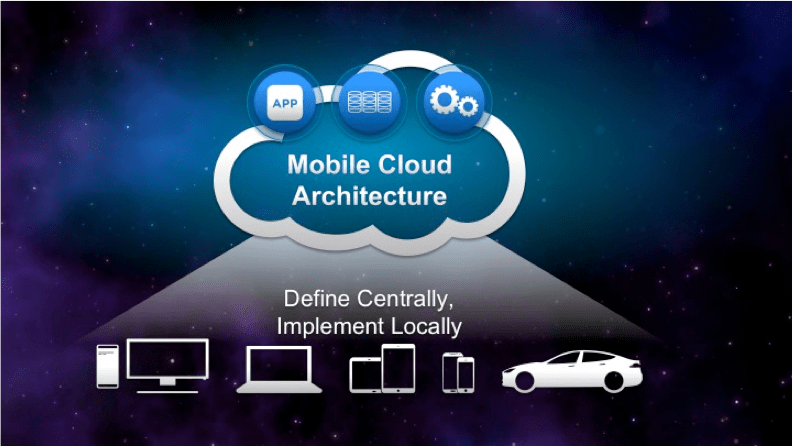 VMware acquired Airwatch, #1 mobile device management solution that manages all your user devices. it’s the umbrella covering all EUC product, look at the picture and keep that in mind. They acquired Cloud Volumes, now called AppVolumes to make deployment of applications easier. You now have the choice to create a very small golden image and apply different base layers of applications per department while maintaining the option to virtualize that one freaky application. They acquired mirage to manage the VDI desktop images, this worked out different but together with Airwatch and FusionPro it makes a killer solution to enable BYO with a managed device. – look at the Flex offer. Adding all this together under the umbrella of Airwatch it becomes a interesting pack. Because you manage their devices, you know where they are, who they are, what device they use and over which connection they try to work. This is called the context of the user, UEM solutions are build around this concept. So if you have their context and you have VDI or RDS desktops waiting for them inside, all you need is a tool to make sure application settings are set just-in-time, drive mappings are done and more of that stuff. Now with Immidio they have that tool, Persona management just wasn’t up to the job and will be replaced with Immidio. Of course it’s no Appsense or RES Workspace Manager but it will do the job for many customers. I’m intresting to see how fast they can integrate everything they acquired into their suite. Hopefully they don’t pick and drop too much as many vendors do when they buy others. I heard things at VMworld I can’t mention here (NDA) but hopefully that will be taking place soon, can’t wait for the future…. This is my thought on this acquisition, I think it’s a great move and one we all expected to happen sooner or later. Let’s see where the future brings us, who’s next?